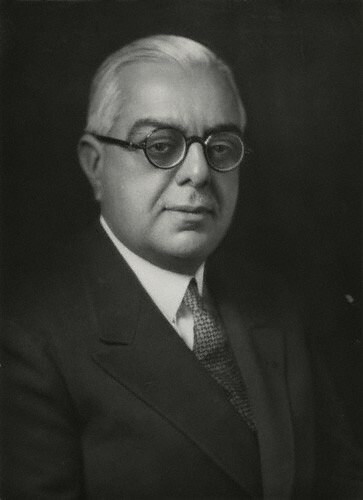 In the early afternoon of 11 July, 1957, after an Imamat spanning seventy-two years, the 48th Imam, Sir Sultan Muhammad Shah, Aga Khan III, passed away in Geneva. 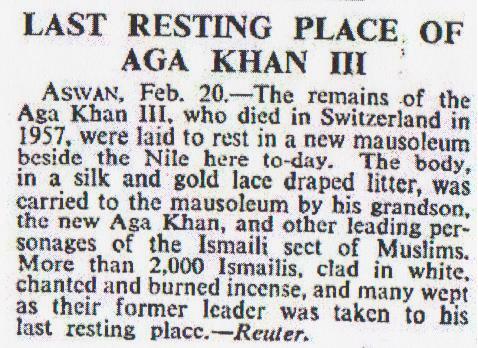 In a leading article published the following day, The Times of London offered condolences “to the millions distributed over the length and breadth of the Islamic world”, recognizing the Imam as “a great force working for understanding and harmony between east and west”; the obituary in The Times was titled: The Aga Khan: A Citizen of the World. 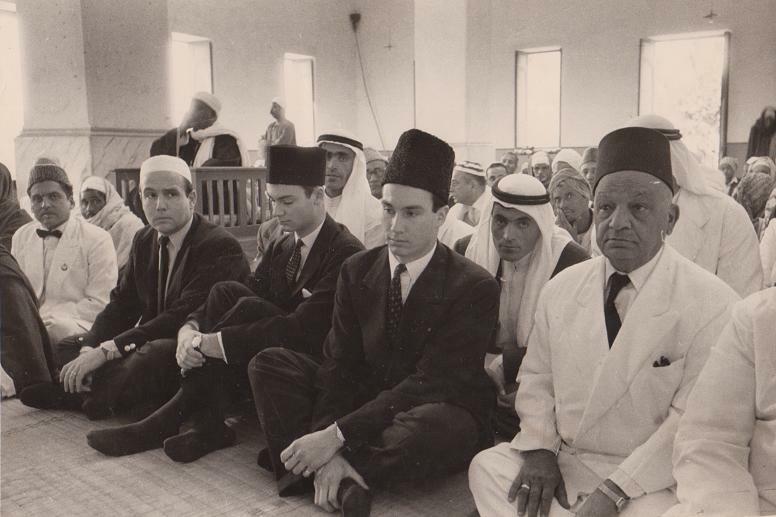 His Highness the Aga Khan IV, Shah Karim al Hussaini, becomes 49th Imam and Pir of Shia Imami Ismailis according to the will of his grandfather. He is pictured above at the Memorial ceremony held for the late Imam at the Woking Mosque outside London. Photo: Reg Speller/Fox Photos/Getty Images, copyright. 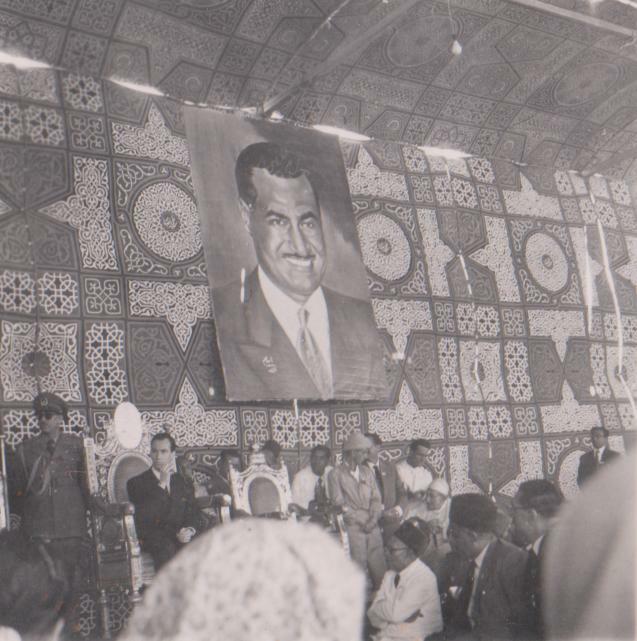 The villa was named Noor al Salaam. 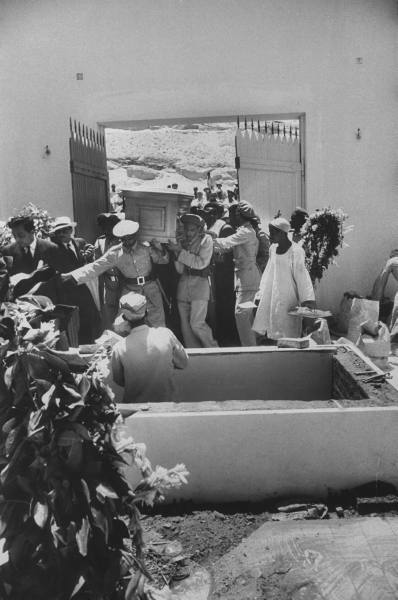 On July 19, 1957, the Imam was laid to rest in a temporary place created in the grounds of the villa. 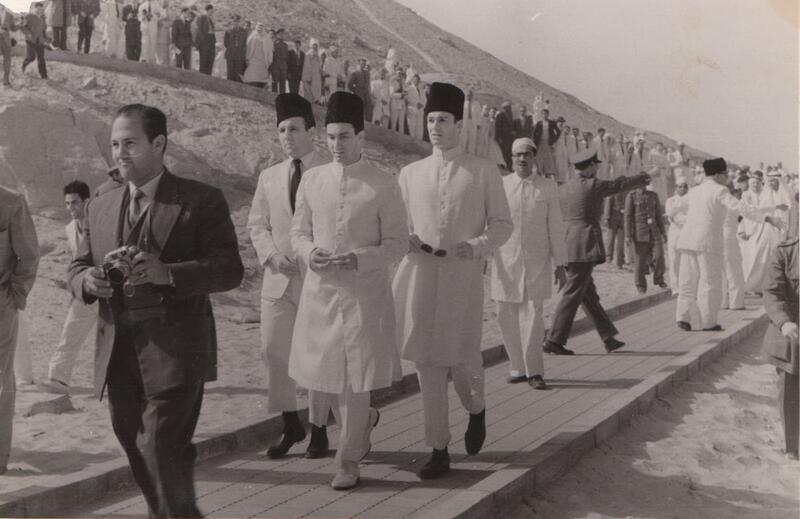 A special service was held at a mosque in Aswan attended by Prince Aly Khan, Prince Sadruddin, Prince Amyn and the newly-appointed Imam, Shah Karim. 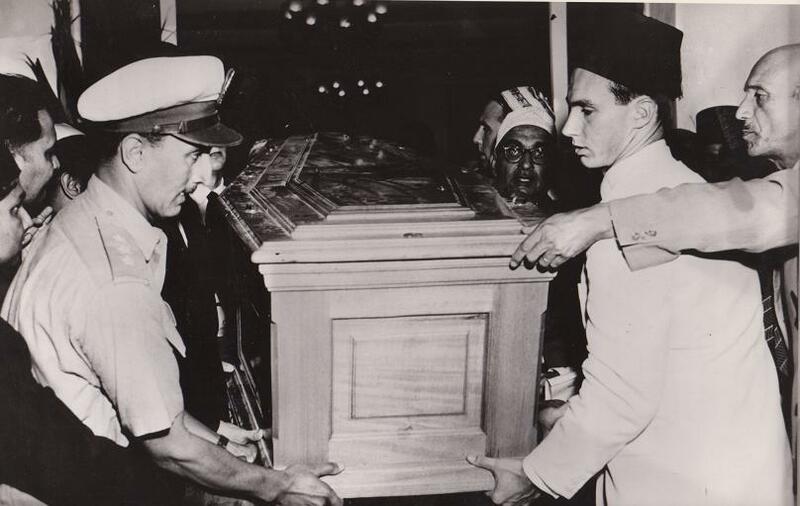 July 19, 1957: The coffin of the 48th Ismaili Imam being brought into a section of the villa, Noor al Salaam, for temporary burial. 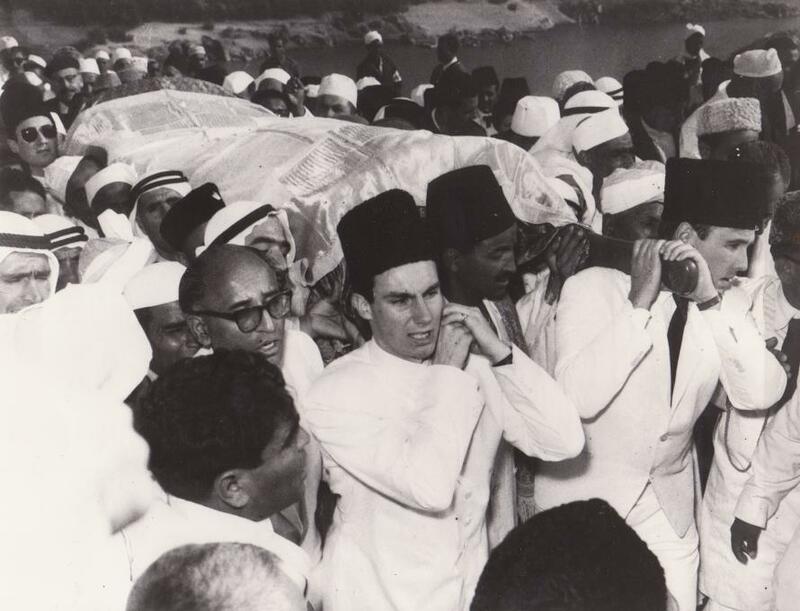 July 19, 1957: His Highness the Aga Khan, 49th Ismaili Imam, seen holding the coffin of his grandfather, Sir Sultan Muhammad Shah who passed away on July 11, 1957. 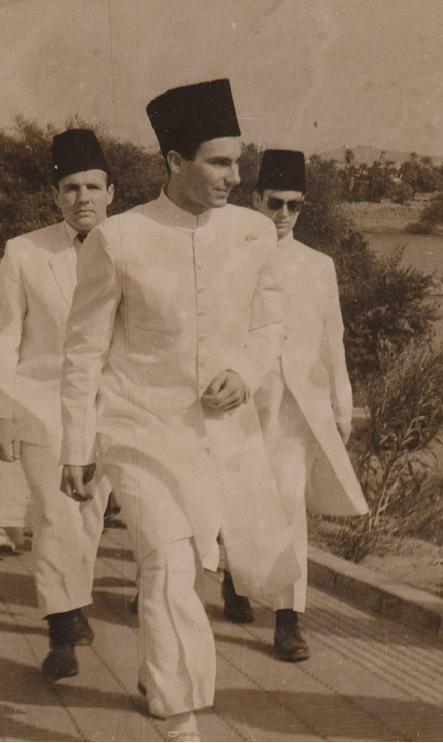 Photo: Jehangir Merchant Collection. 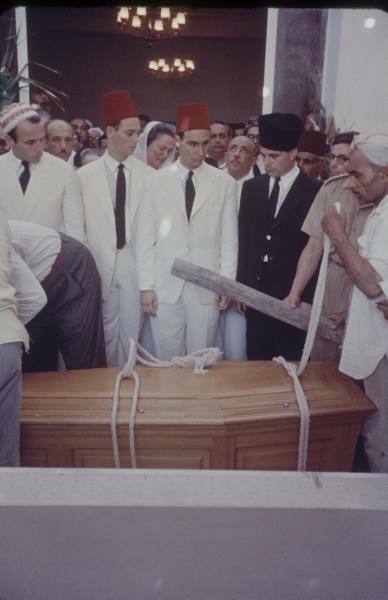 July 19, 1957: Left to right, Prince Sadruddin, Prince Amyn, Prince Karim, the new Imam, and Prince Aly Khan watch as the coffin is lowered at the temporary burial site in the villa, Noor al Salaam. The following month, on 21 August, a special service was held at Woking Mosque, England, at which the Lord Chamberlain, the Earl of Scarborough, represented Her Majesty the Queen’s government. 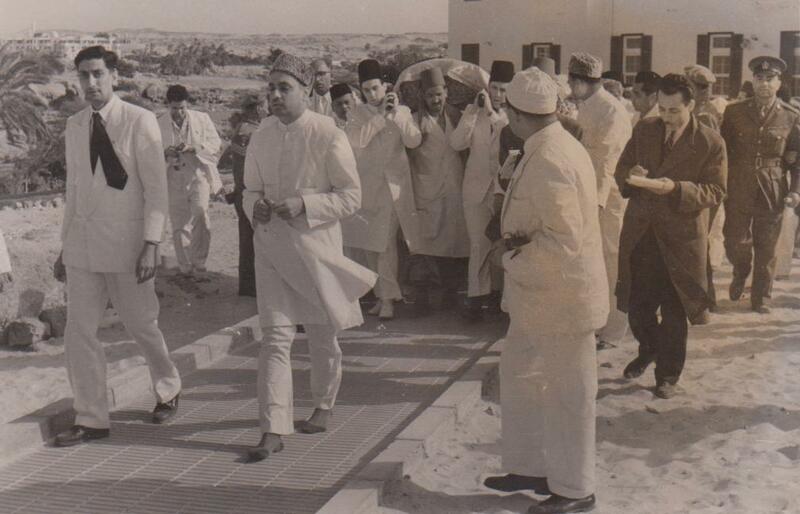 On 19 February 1959, the 48th Imam was finally laid to rest in the mausoleum which had taken over 18 months to construct. 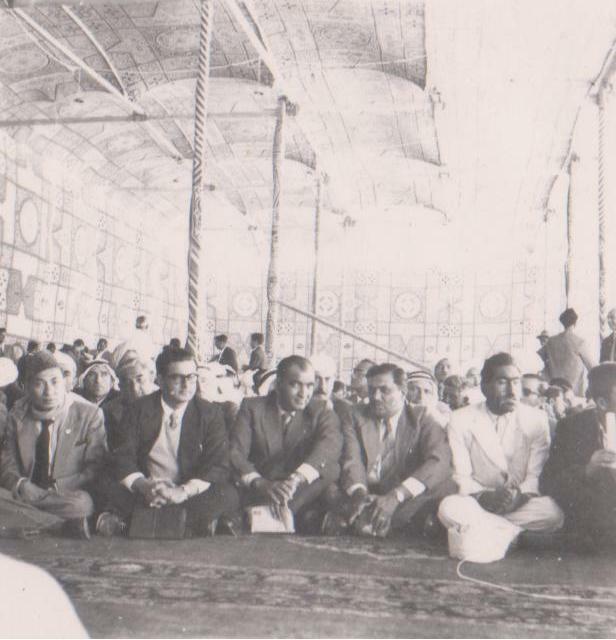 A special tent was raised on the outskirts of Aswan and more than 2,500 people, including Ismailis from all parts of the world, attended the ceremony. 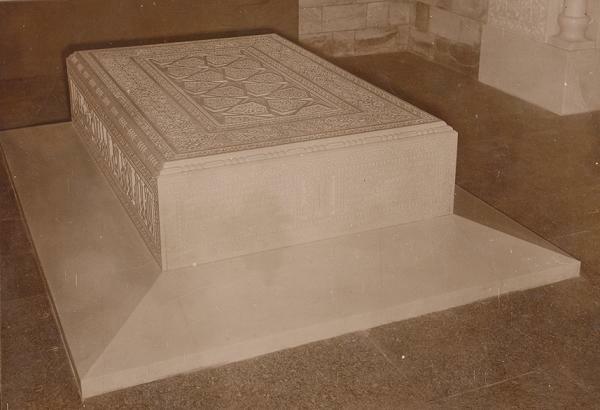 The marble sarcophagus of Sir Sultan Muhammad Shah, Aga Khan III, 48th Imam of the Shia Imami Ismailis, under the granite dome of his mausoleum in Aswan. Photo: Jehangir Merchant collection. To submit comment or read feedback, scroll to bottom of page. 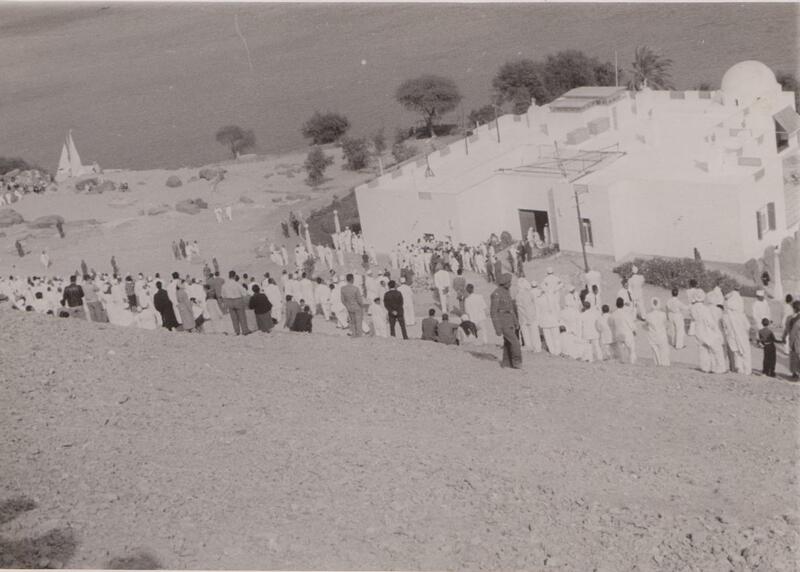 As part of the Aga Khan series, Simerg provided links to preview films at Britishpathe. Link 1 below (Id 34577) was not among the links included and we invite you to watch this extremely rare footage on the first burial ceremony in July 1957. Link Id 34570 was included in our list. Swiss aircraft taxiing in at Cairo Airport. Begum Aga Khan stepping from plane followed by Aly Khan. 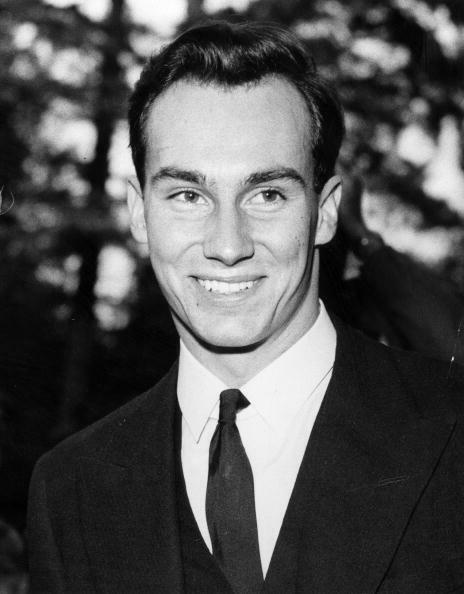 Aly Khan’s son Karim, the new Aga Khan talking (2 shots). 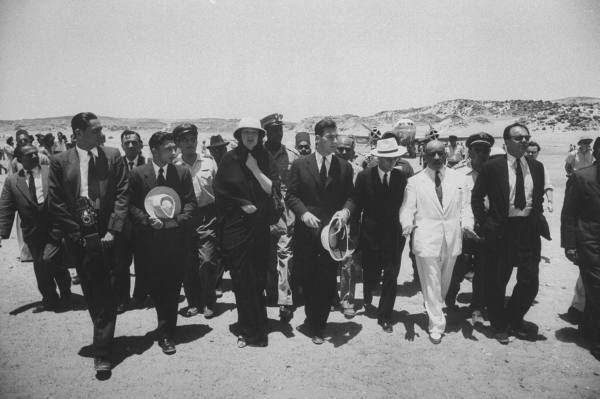 The Begum and Aly Khan walking from aircraft with Karim. Coffin being removed from plane. Officials stepping from plane. People paying their respect. 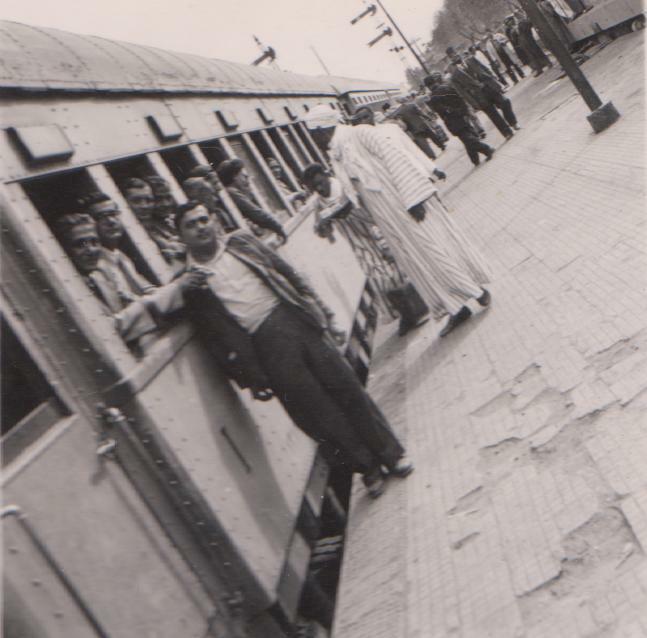 Begum receiving guests, pan to Karim. Aly Khan with Sadruddin going up river Nile on boat. Aly and Karim on boat. Sadruddin and Aly Khan (4 shots). 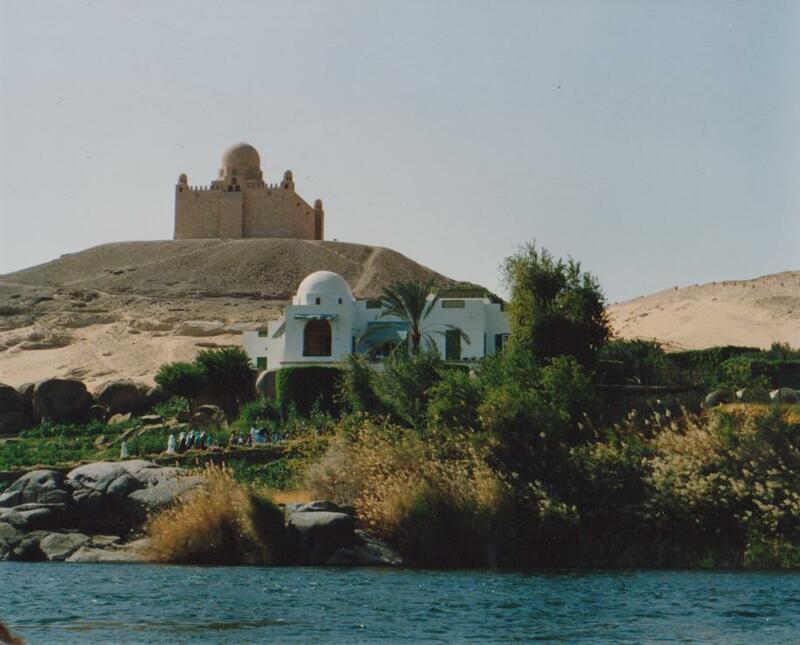 Cataract Hotel on the side of the Nile. 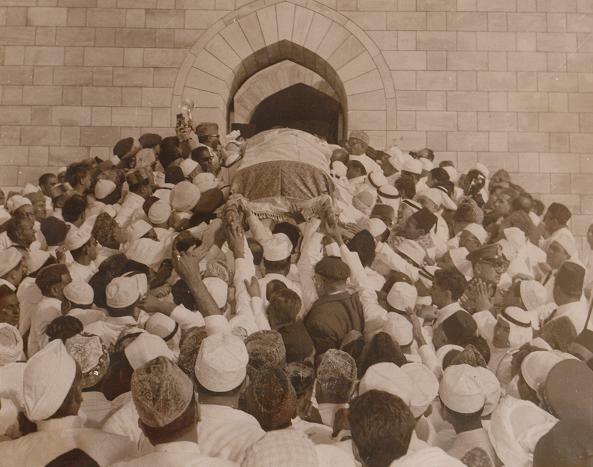 The Begum sitting by coffin. Begum crying. Officials sitting around. Please visit the What’s New page for all articles posted on this website, including the ones in the Aga Khan III series. And do visit the Home page if you are visiting the website for the first time. Very rare information. Delighted to read this; I am in trance – thank you! Thank you Malik for sharing these rare video clips of Late Imam Sultan Mohamed Shah. Thank you for this wonderful reminder article. I was in London when the late Imam passed away and present Imam assumed the Imamat. There were a few Jamati members present in London at that time. When the sad news arrived about the passing away of Imam Sultan Muhammad Shah we prayed the whole day and anxiously awaited for the Talika and guidance. After the temporary burial was over Hazar Imam graciously offered to take individual pictures with Jamat. I am blind now, but I try to read most of the articles sent by AKDN. I read it by listening. I and all the Ismailis world wide are thankful to you for publishing such a wonderful collection of memorable pictures which I am sure many of us have not seen and not even our young generation must have seen. Thanks and Ya ali madad. I was in Rangoon when the sad news about Imam Sultan Muhammad Shah’s passing away reached us. The council tried to reach as many Jamati members as possible within the next few hours. I was staying in a suburb of Rangoon called Thingangyun. The Jamat gathered at the Jamatkhana and the news was read out by council members. Later on the jamat joined in the recitation of a special tasbi and we all remained in Jamatkhana until the morning prayers. An excellent research on the late Imam – an era not to be forgotten even in our daily practice. His Guidance has got us where we are today and he appointed his heir very wisely, even skipping a generation. Million of thanks for your illuminated gift to the world. Thank you so much for these articles. I hope to cherish them all my life as they refresh my past memories! Thank you once again. Kind regards and Ya Ali Madad!